Your nonprofit can raise money! 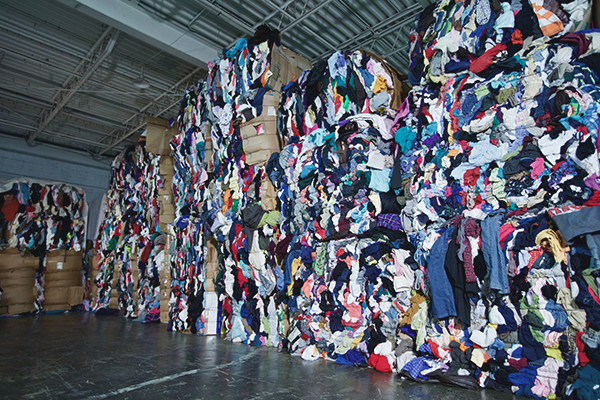 Each day Trans-Americas sources in excess of 70,000 lbs., or two trailer loads, of salvage rags and pays reputable charities millions of dollars annually for their unwanted clothing. This salvaged clothing generates revenue for the non-profit's charitable programs. Trans-Americas is a large buyer of mixed rags. Your charity can generate revenue from the sale of donated used clothing. Trans-Americas will pay your charity for every pound of clothing it collects. We are interested in working with charities to develop long-term suppliers. Trans-Americas purchases used clothing only from reputable charities. If your charity is a registered 501(c)(3) nonprofit organization and is interested in collecting and selling used clothing, Trans-Americas can design a turnkey operation. We currently work with 30 charitable organizations in the New York metro area. Our programs will generate revenue for your charitable cause through the sale of your salvaged clothing. Contact us to discuss how your charitable organization or non-profit can set up a clothing collection program. For more information, contact us at recycle@Tranclo.com. Every year 2.5 million lbs. of unwanted clothing is recycled by companies like Trans-Americas and charitable institutions such as Goodwill. However, this only represents 20% of all textile waste. Furthermore, up to 4.5% of our landfills are still comprised of textile waste. Approximately eight out of ten pounds of clothing collected by large charitable institutions are sold to recyclers to generate revenue for their charitable programs. This material will otherwise end up in our landfills. Textile recyclers recycle unwanted clothing into wiping rags, fiber and usable clothing. See Trans-Americas in the News or Tour our facility.